Hello, hello! I don't think I've blogged in about a week but I certainly have been busy creating projects that I just haven't been able to share just yet. 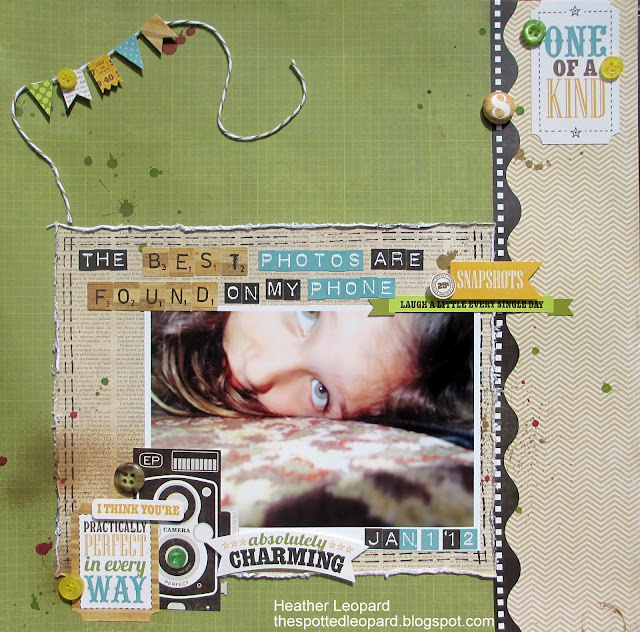 That's why I'm excited to show you these layouts and also let you know about a little blog hop we are doing with my LSS, Scrapp'n Savvy, which I teach at. These layouts are a little sampler of some of the things you'll be creating if you attend one of my classes. 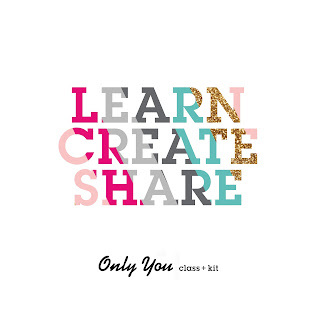 First let me tell you about the blog hop and then stay tuned to hear about my classes. If you're not local, I hope these projects inspire you. 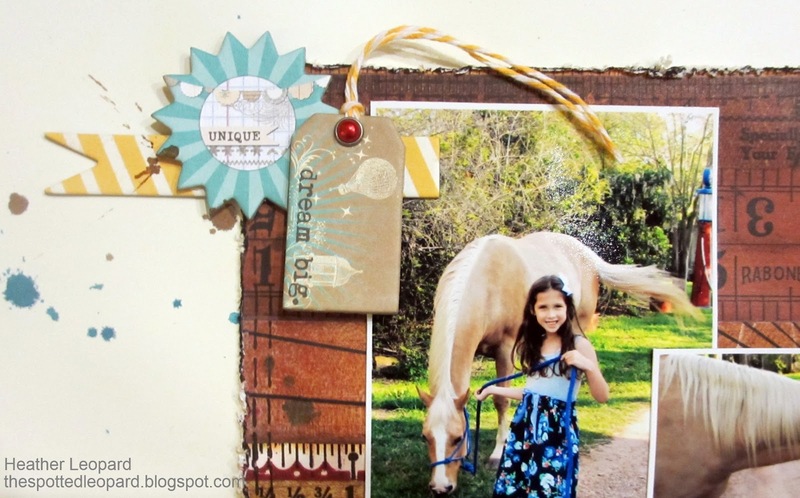 Welcome to the Scrapp'n Savvy Blog Hop! During this hop, you will learn about each teachers classes at the store and be eligible to win FREE class sessions. To enter, you must leave a comment on EACH teachers' blog and then return to the Scrapp'n Savvy blog and leave a comment that you have completed the hop. We will also be sharing with you information about our classes and techniques and tips that we used to create our "HOME" banners! My class is called A Little Bit of This & That. I call it that because it's like a box of chocolates - you never know what you're gonna get. That being said, it usually consists of a couple of layouts plus maybe a mini album or perhaps a card. 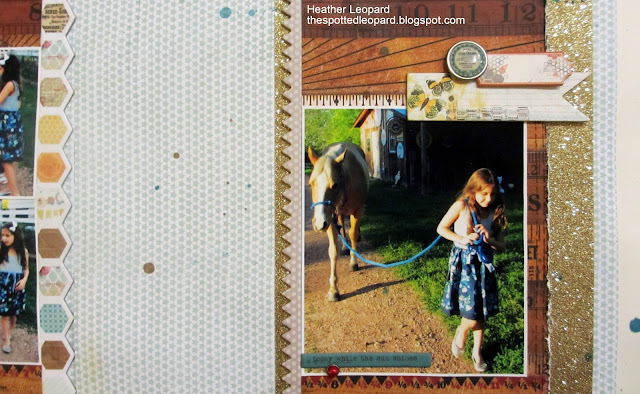 For April's class, we will be playing with My Mind's Eye Follow Your Heart "Be Amazing" collection and a bit of October Afternoon Farmhouse. We'll be doing one 1-page layout, one 2-page layout and a DIY (do-it-yourself) smash-like mini album. Here are the 1-page and 2-page layouts. The mini is still a secret but I think you'll love it. 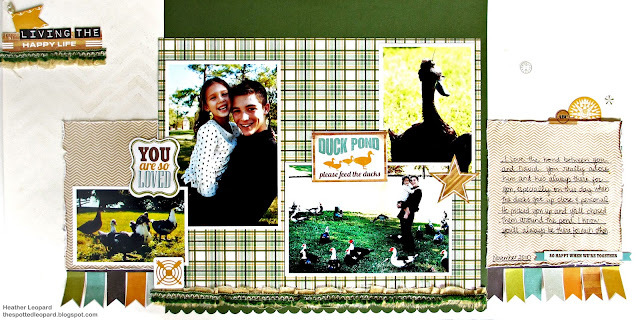 Supplies are from my Scrapbook Circle Remember This kit, which is sold out but these items can be purchased at Scrappin' Savvy as well. Supplies: My Mind's Eye Follow Your Heart Be Amazing collection: Societe, 6 x6 Designer Paper Pad, 12x12 chipboard, brads, Zig Marker in black. 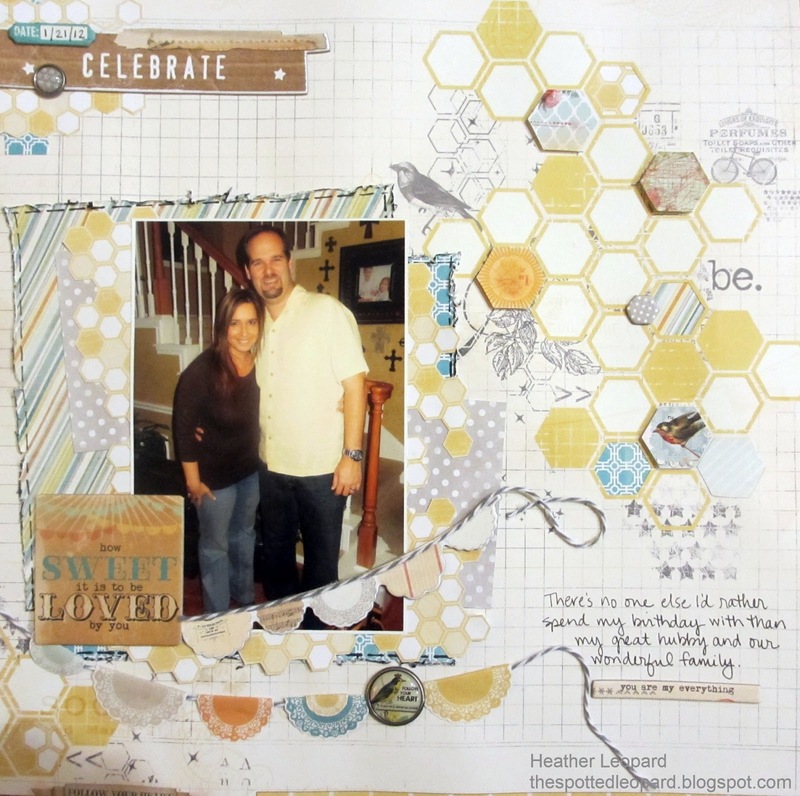 The 1-page layout focuses on layering, fussy cutting to create handmade elements, stitching, dimension and more. Here's a sneak at the 2-page layout. The actual layout will be at the Sampler event on Saturday. Techniques will include, distressing, misting, stitching (I used the new Sew Stamper tool) and will include a bit of layering. Are you starting to see a pattern? Yep, I'd say pretty much all of my layouts include a bit of each of those elements. Not pictured from my April class is the DIY mini album. For May, we'll be designing with Echo Park's Thise & That Charming collection. Similar to April's class, we'll be creating the 1-page and 2-page layout below plus a notepad booklet (great gift idea). The booklet is not pictured. Note: if you were here before I only posted a sneak because I had to hold it back for the Paper Issues blog hop but now I can post the full reveal. Full page was revealed on April 1 so I updated this post to see the entire layout because there was soo much more to it that I couldn't show you! So what do you see? Maybe a bit of mist, distressing, stitching and layered elements? You'll get to play with the Imaginisce i-top tool and the new Sew Stamper to make your faux stitches. The notepad booklet will be made from the same collection and if you like the style of the layout above, you won't be disappointed. This is for locals only (sorry). I'm giving away a spot in my April class. All you have to do is follow my blog and leave me a comment. I will do a random drawing on April 5. Either way, I hope to see you in my classes! If you are attending the Sampler on Friday and Saturday you'll be making a fantastic "HOME" decor item. I will share my ideas for decorating it as soon as I get to create with mine. Thanks for stopping by my blog today. Be sure to visit and comment on each of the blogs listed below for your chance to some scrappy goodies from Scrappin's Savvy, in addition to the free class I am giving away! Heather Leopard- YOU ARE HERE! Loveeeeeeeee your lo Heather!! GORGEOUS!! And loving the sneaks too! wow these are totally lovely Heather--love the closeup of your daughter's eyes--just GORGEOUS! Love the paper and the layouts. I love all your layouts! I am now following your blog! Thanks for the inspiration! I love your layouts and I can not wait to see what you do with the HOME banner. Your creations are always so unique. In addition, your photography skills are excellent. They really capture life moments. Wow, the butterflies are really cool! Anxious to finish my banner from the sampler and sign up for the upcoming classes. Love your work and although I may be too late for the prize, just wanted to let you know how lovely your work is!